Rick Sanger has been a dedicated ranger in Kings Canyon National Park with the National Park Service for almost twenty summers. As our neighbor Jim Van Verth’s college roommate years ago at University of California at Santa Cruz, in the off season “Ranger Rick” occasionally comes to visit Jim Van Verth in Aptos, where we met him last year. 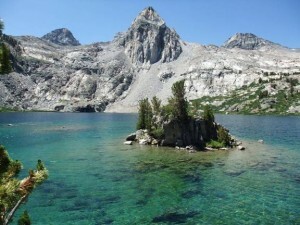 It was Ranger Rick who, after meeting our llamas, inspired us to plan this year’s summer High Sierra llama trek into the Rae Lakes in Kings Canyon National Park. So, on August 1, after driving truck and trailer the day before across the Sierras to Lone Pine from our “Twin Brooks Timber Llamas Ranch” in Auberry, CA, Jim and I will load up Miwok, Zuni, Sequoia and Jambo’s packs as well as little packs on our poodles Beau and Tashi, and head up out of the Onion Valley trailhead over 12,000 ft Kearsarge Pass, giving access to the spectacular scenery of the Rae Lakes , where we’ll spend a week camping, hiking, fishing and refueling our souls with Sierra energy. Serendipitously, just yesterday, Jim Van Verth sent me this update from Ranger Rick about a 72 year old Sierra hiker which I invite you to enjoy. I loved it because my Jim Wheeler at 75 has been backpacking in the Sierras since he was 12 when his dad made him a backpack out of plywood and canvas! That same dad, Doc Wheeler, invited me on my first backpacking trip 32 years ago and introduced me to his son Jim. 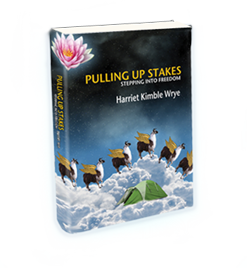 The rest is all in Pulling Up Stakes: Stepping Into Freedom. And I just celebrated my 72nd birthday–so let’s hear it for “Hiking Endless Summers”! “Hello All!!! 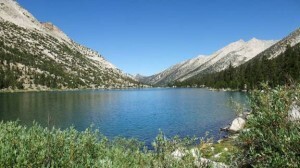 I’ve started my summer season this year, Suzanne and I are stationed at Charlotte lake, a change from the past 3 years. It is pictured above. Sorry I don’t have stunning images to send, but I do wish to offer up this story from a hike last week. I really wished I had a recording of his speech, it was so articulate and impassioned. He then related a story of a book he had purchased when he was 7 years old, a book filled with symbols and figures that he knew nothing about, but he was keen on mathematics and purchased the book for 50 cents along with its book cover “It was 1947, and covers of that sort were quite in vogue at the time.” He was as curious about the cover as the figures in the book – it depicted a most striking mountain scene, the likes of which he had never seen or imagined growing up in the south. He asked his mother about the picture, “what mountains are these? What can you tell me about them?” His mother took a long look at the picture, but confessed she was unable to tell him anything about the picture. She did offer though, that it could be a painting, and that the artist was perhaps trying to portray the most beautiful mountain scene he could conjure, one with the most perfect proportions – the way mountains should look. Good seeing you at Charlotte Lake Yesterday. Got home to Fresno about 5:30pm today.